Lavender is Marlene’s favorite scent. She grows lavender on her urban farm, and she uses it as a stress reliever and sleep aid. For many years I have suffered from insomnia. 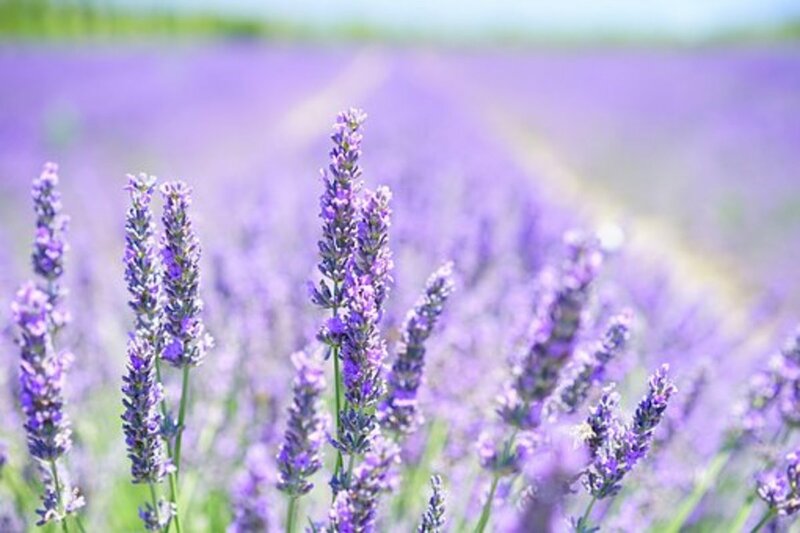 When I heard about the benefits of using the lavender plant (also known as Lavandula augustifolia) and essential oils, I began my own research—reading about the lavender plant and learning why it worked. While I do not have the means to extract the essential oils, I grow lavender around my house. I make sachets and lavender wands to keep inside my house, and I purchase lavender essential oil to use as part of my sleep therapy program. The scent of lavender essential oil increases slow-wave sleep, which is the very deep sleep where the heartbeat slows and the muscles relax. It is during this phase of sleep that the brain is believed to regenerate and organize memory, as well. An oil extraction machine is used to extract the oil from fresh flowers of the lavender plant. Upon extraction, the oil is used for medicinal purposes, which includes ailments such as insomnia, anxiety, depression, and fatigue. Scientific research shows that the scent of lavender oil has a calming effect. In studies of adult males and females, people who sniffed lavender oil were able to fall asleep and stay asleep through the night. The goal is to diffuse or bring the scent of lavender into the air, enabling you to inhale the scent. Here are three quick and easy ways to bring the scent of lavender into your environment for a good night’s sleep. Stove top. Boil two cups of water in a pot on the stove. Turn off the heat. 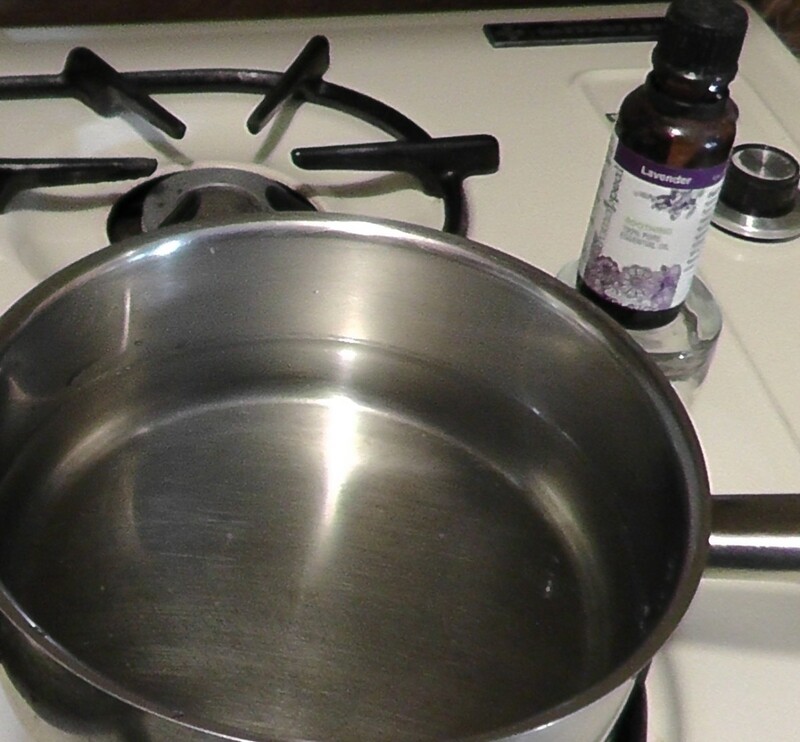 Place two drops of oil into the hot water if you will be standing over the hot water to inhale the scent. Place more drops of oil into the hot water if you want the scent to fill the room with the lavender scent. The actual number of drops depend on the size of the room. Be careful. Do not lean over the steamed water if you have placed more than three drops of oil into the water. 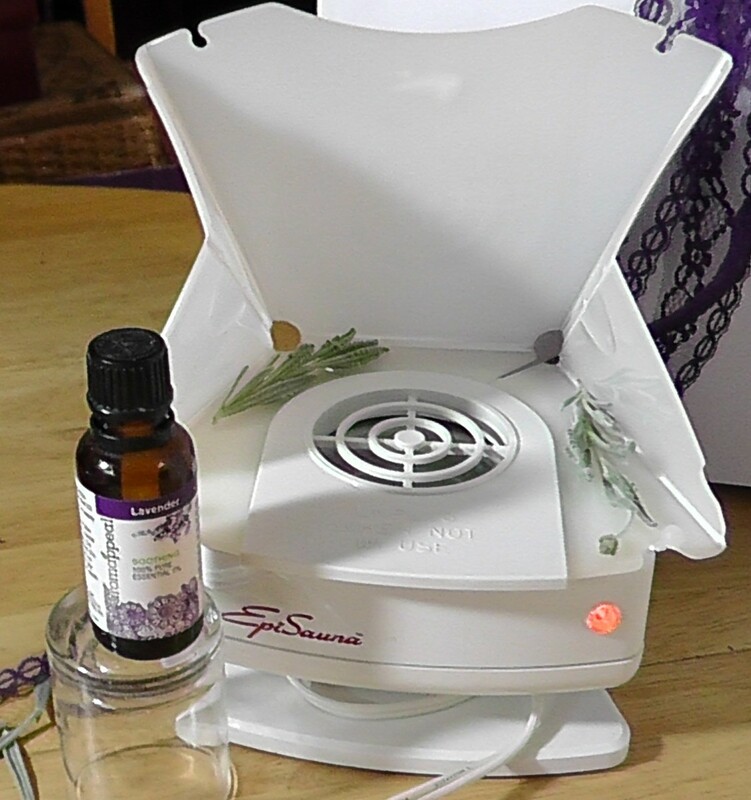 In either diffusion method you use, the lavender scent will fill the air. Inhale the scent for a minimum of two minutes. Then, go to bed to experience a restful night of slumber. Place two to three drops of lavender essential oil onto tissue paper and place the tissue paper in your room. 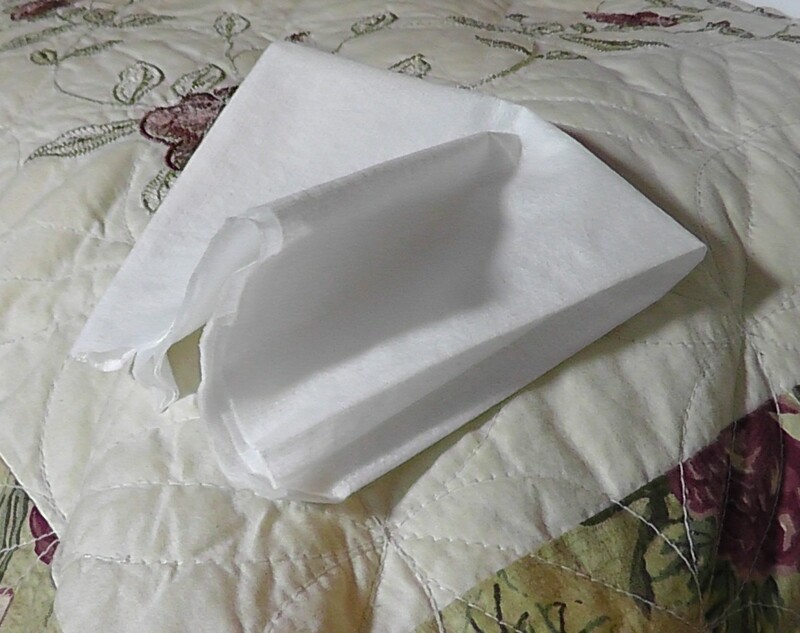 Even better, place one to two drops of oil onto tissue paper and then place the tissue paper under your pillow case. 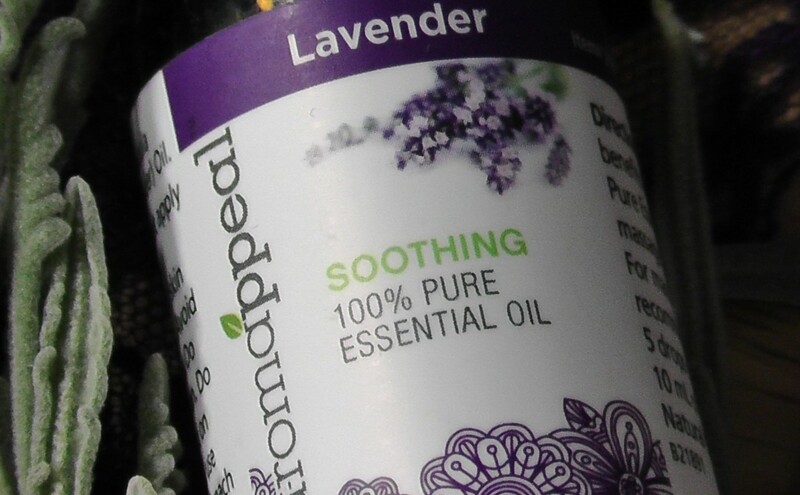 If you just want to lay down and go to sleep, this is the quickest way to use lavender essential oil as a sleep aid. Place a lavender wand on your night stand. Lavender wands are easy to make. I make several wands and place them in a vase on my night stand. Lavender wands can also be placed under your pillow case. One of my favorite things about lavender wands is that they can be used like sachets and placed in your pajama drawer so that when you remove your pajamas to wear, the scent is already on your pajamas, helping you fall asleep from the relaxing aroma of lavender. Since I grow lavender, I make lavender wands to use and to give as gifts. Learn how to make your own lavender wand in my article titled: How to Make a Lavender Wand. During the Middle Ages, lavender essential oil was used as an aphrodisiac. Bed pillows were stuffed with lavender to induce sleep. Research shows that the scent of lavender eases anxiety and insomnia. Britain’s University of Southhampton conducted a four-week study of ten adults (5 males and 5 females) and found evidence that the scent of lavender improved the condition of those suffering from insomnia. I have found the best, reliable essential lavender oil from an online source called Puritan Pride. I have been using this company since 1973, before their name changed from Nutrition Headquarters. I have no affiliation with Puritan Pride, however, I highly recommend them for quality products with competitive prices. Search Google for Puritan Pride and find great health related products. By the way, their service is excellent. If you do not have access to fresh lavender plants, purchase pure lavender essential oil. You can find it at various health related stores or online for about $8.00 to $14.00, depending on the size of the bottle you buy. Essential oils are toxic if taken orally. Do not ingest essential oils. More is not better. One or two drops are enough to serve as a sleep aid. 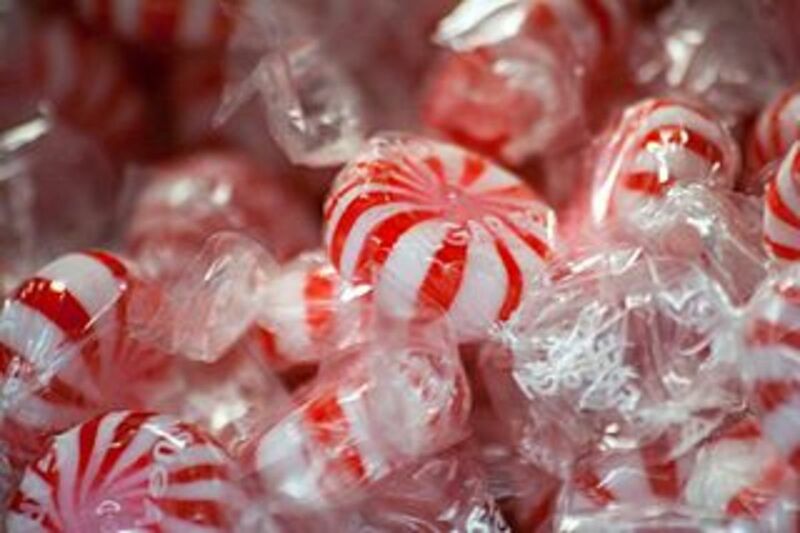 Three drops should be considered the maximum dosage for any adult to inhale directly. When handling essential oils, be careful. Pure scented oils can cause skin irritation. 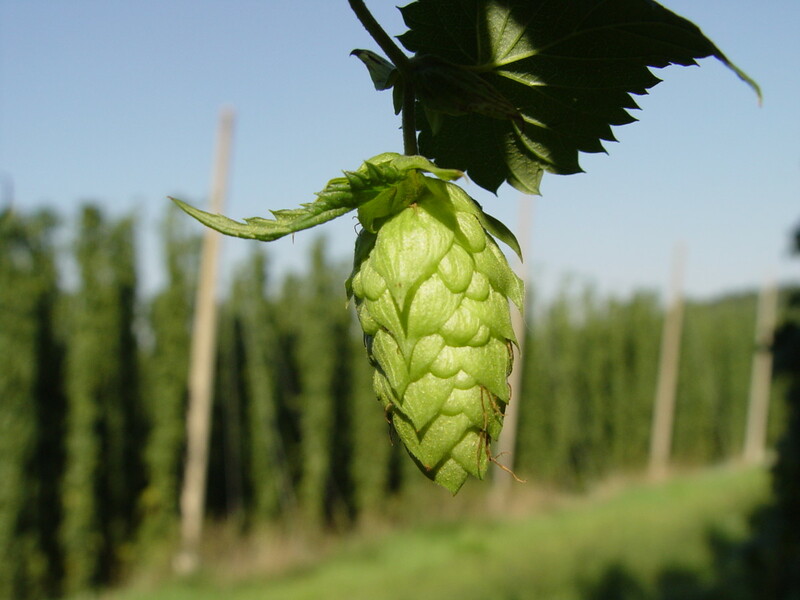 As with any plant based product, some individuals may be allergic to or develop allergic reactions. Reactions to be aware of are nausea, vomiting, headache, and chills after inhaling or absorbing essential oils through the skin. I am an ordinary person who suffers from mild and occasional insomnia. I am not a medical professional, and I make no absolute claims whatsoever. The suggestions mentioned here are based upon my personal experience and information gleaned from studies reported in medical journals. I advise anyone considering the use of lavender essential oil to consult with your medical professional prior to using this product in any way, shape, or form. University of Maryland Medical Center, January 10, 2012: Lavender Study Report. Alan Hirsch, MD neurological director: The Smell & Taste Treatment and Research Foundation, Chicago, Illinois. Hi Patricia Scott. Lavender is by far my favorite scent. Maybe that is why it is so soothing to me. Thank you, Shannon, for the link. It sounds interesting. Hello Au fait. You have some very good questions that suggest I need to update this hub. To answer the first question, the short answer is, yes. Too much lavender can be toxic. 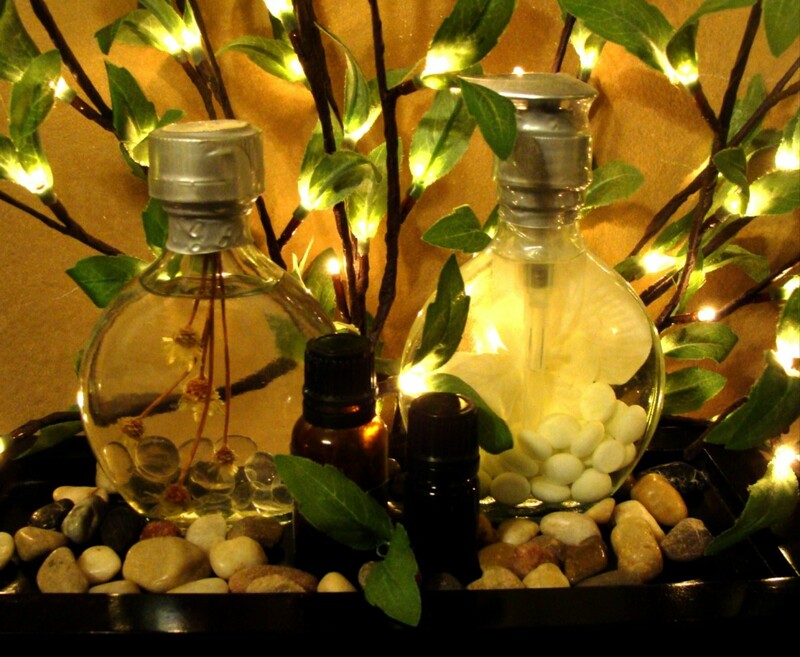 In fact, all essential oils can be toxic and can even burn the skin when applied directly. Inhaling essential oils is almost the same as ingesting them. If you have sensitive membranes, the strong scent may be uncomfortable. To answer your second question about how lavender essential oils can be an aphrodisiac and a sleep aide at the same time... well, it depends on how you use it. I think when people are using lavender essential oil as an aphrodisiac, they incorporate oils that can be used on the body as a massage oil. I think the activity of the massage and the scent create a sensuous atmosphere. On the other hand, when you are simply using the essential oil as a scent, then the scent alone can be relaxing enough to induce sleep. Is the toxicity of the lavender essential oil the reason you warn against leaning over the steaming water with more than 3 drops of the oil in it? How can lavender essential oil be an aphrodisiac if it puts a person to sleep? Great information. Also, congrats on HOTD! Hello brakel2. Thank you! I am so glad you liked this. I grow lavender. It is one of my favorite scents. I love the idea of pairing it with vanilla. For a truly relaxing scent try combining lavender with vanilla and cinnamon or vanilla and orange. It's all so relaxing. Hi Marlene Thanks for writing this article about lavender, my favorite scent. You gave a lot of good information, and I plan to buy the plant. I also love lavender vanilla, as the combination is heavenly. The essential oil sounds so pure and worth purchasing . Thanks for this amazing hub. Blessings, Audrey - Will share. Hello DDE! Thank you for your compliment. I definitely like using lavender as a sleep aid. In fact, last night I placed a tissue into a little bowl and sprinkled a couple of drops of lavender onto the tissue. The scent is very soothing. I slept all night. Congratulations! You have created a beautiful hub and deserve the HOTD. Voted up, useful and interesting. Hi Patsybell, Lavender is one of my favorite scents. Whenever I am overly anxious, I spray some lavender on a tissue and place the tissue on my nightstand. The scent has a calming effect. I believe the scent of lavender eases anxiety and insomnia. Great hub. Voted up and pinned. Thanks so much, Rajan. I really like lavender. I have a lavender wand that sits in my pencil holder. It smells so nice. Wonderful and useful info, Marlene! And congrats on getting HOTD. Voted up, useful and awesome. Shared, pinned and tweeted. Hi khmazz. I started growing lavender because I liked the scent and the way it looked. Then, as I did a little research I found out about the benefits of lavender. Using it as a way to provide a calm, relaxing environment has helped me a lot. I hope it helps you, too. Brett.Tesol - Thank you for your compliment. I'm still very excited about the HOTD. Ahtsham97 - Thank you for your feedback. I am a fan of lavender and use it a lot of different ways. Crystal Tatum - I like the idea of including Epsom salts in the lavender bath. I imagine that would be the most relaxing bath I have ever had. I love lavender. It's so relaxing. I like to put it in a hot bath with Epsom salts. Congrats on getting HOTD!! 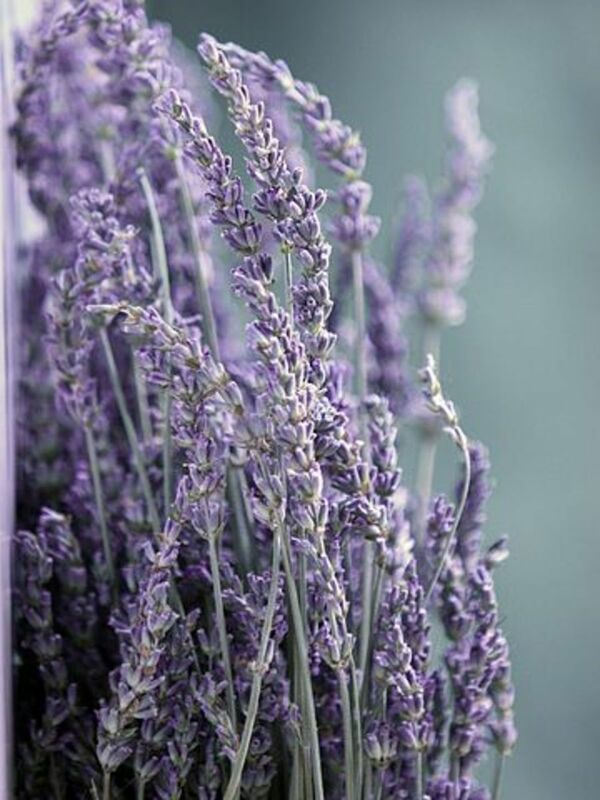 I love natural Lavender and I find precious information and tip on Lavender here in the hub. Thanks for sharing so useful research about this useful plant. Great advice, Lavender is indeed very calming. And I noticed that this grabbed HUB OF THE DAY!!! Congratulations on landing that one ;-). Shared, pinned, tweeted, up and useful. Hello Everyone! I am overwhelmed with your response. Your positive feedback is very encouraging. I hope you have a chance to try lavender as a natural way to help you relax and fall asleep. Evans4life - No, I wish I knew a thing or two more about a natural cure for snoring. Haha! That would be a great companion hub for this one. Right? Thank you for the information. I love the scent of lavender. Do you know if it will or know of something that will help with snoring? Congratulations on HOTD! I always use lavender skin lotion before going to sleep, and it does seem to help me drop off to sleep. I love the scent of lavendar. It is very relaxing, and I enjoyed your article on it. I like the idea of the lavendar wand, as well. Congrats on HOTD. It is nice to see a familiar face receive it. Recently, I've been waking up in the middle of the night and I have trouble falling back to sleep so I was considering taking a medication but I was hesitant to do that because it's not natural. This hub came at a perfect timing! I've heard of using lavender oil for stress relief but I've never thought about it as a sleep aid. Thanks for sharing and congratulations! I love lavender. It has good fragrance. My mother has a problem with sleeping. She has to know about this hub and I'll show to her. Thanks for writing and share with us. Voted up! Congrats on your Hub of the Day award for this helpful and well-done hub. --and thanks for great info to use and share! I've been hearing about this oil as a sleep aid more and more. As someone who hasn't slept thru the night in years, I'll give it a try. Thank you so much for this hub. It is the most informative piece I've read on the subject to date. I have several bushes of my own. Enjoy to cut it in the summer and make some wreaths, bags and other useful stuff. Hello everyone, thank you very much for your feedback. It is truly valuable to me. Also, I'd like to mention again that when using lavender essential oils, more is not necessarily better. Two to three drops should do the job. 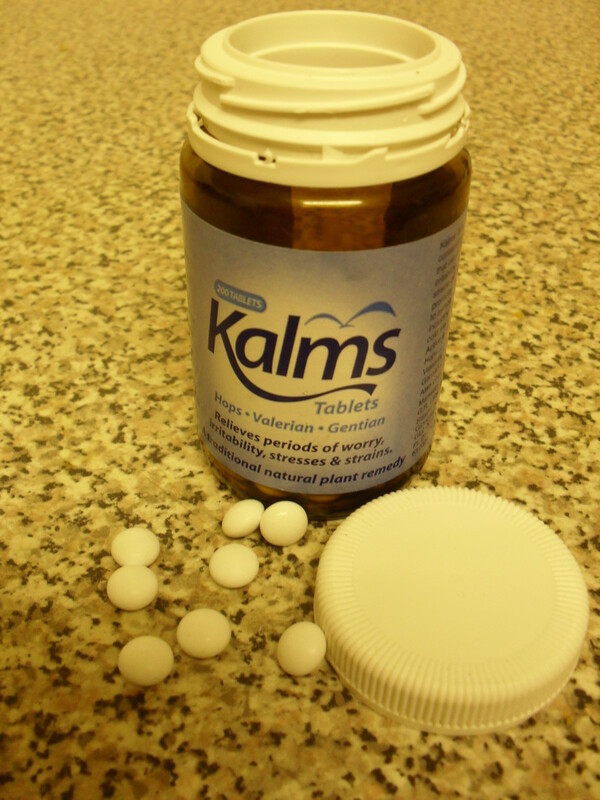 And, like someone mentioned, too much can also produce some side effects. Depression can be one of them. You just need to know your body and, like with everything you do in your life, be wise and don't go overboard. Again, everyone, thank you for reading and for leaving your wonderful comments. I'm feeling honored and very blessed today. Thanks for specific information on how to use it. I especially love the wand idea! How long do they typically last before you need to refresh? Congratulations, MarleneB! So happy for you, well deserved. Thank you for writing a beautiful hub. It looks great. I love lavender in lotions, sprays, and teas. Up, useful, and awesome. I've always loved the purple color of the plant, and the smell of lavender. I usually go for lotion and deodorant with the lavender flavor/scent, but never really thought of the oil itself. I will definitely give this a try. I already sleep good, but my husband and daughter usually don't get the rest they crave. Hopefully this should help. Thanks for the info. Voted up and useful, and congrats on the HOTD award. Great hub with useful information. 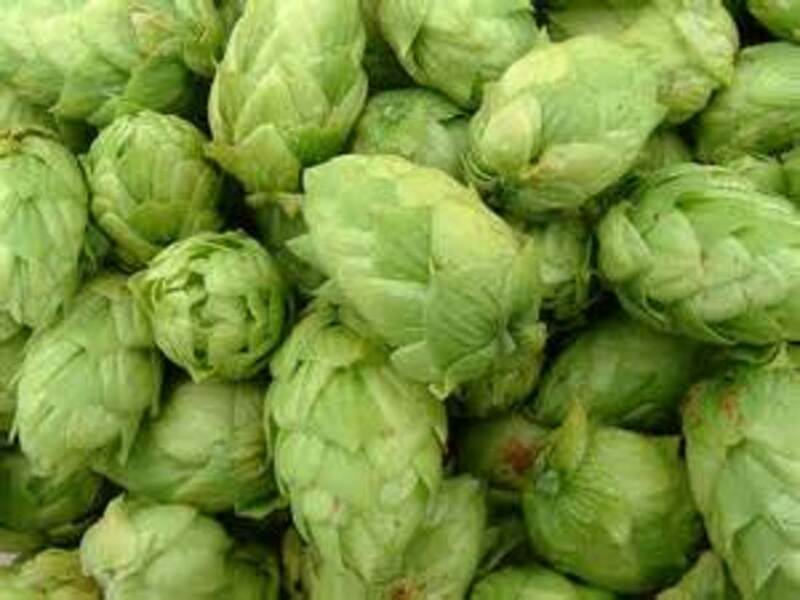 It is always good to know the natural remedies for insomnia rather than taking alternate drugs as medication. And also congrats for being chosen as the hub of the day. I love lavender essential oil and even use it to soothe my dog before taking her to the vet's, which is normally a traumatic event for her. I find affordable, but excellent quality, essential oils on Amazon.com. What a beautiful and simple solution. Thank you so much, and congratulations on Hub of the Day. Very informative and ready to use handy article. I would say that you have interwoven your thoughts with perfect setting of wordings reserving a place into hub of the day. Love essential oils and Lavender is my favorite. It is so soothing and pleasant. Thanks for a great hub. I love all the uses of lavender. As an herbalist and nautropath, spreading knowledge of natural cures is essential (get it!). I have seen cooks use essential oils in everything from desserts to salad dressing. Of course you do have to be careful of which ones are safe to ingest in small quantities, but lavender was used on a show on Veria to flavor a dessert. Thanks for sharing. And congratulations on your Hub of the Day. This is a very useful hub, thanks for the wonderful information. As a newborn, my youngest child was very hard to get to sleep, so I began to use the lavender bath products made for babies and they were a true help to a very tired mom. Congrats on being chosen Hub of the Day! Well deserved! This is a lovely hub, thanks for the information. Congratulations on HOTD. Cheers! That is very interesting. I will try it. Congrats on a great hub! This is interesting...thank goodness, this is not a problem I have but I know some who will appreciate this information so will pass it along. This is a very useful hub for those who suffer from insomnia! I didn't knew this property of lavender. Very interesting. The tissue under the pillow idea sounds a simple idea. Looking forward to trying this. Voted up. I love lavender! Congrats on your hub of the day!! 6 years ago from The light in the forest of doubt. Great article. I was just given a few lavender plants to plant in my yard. We cut a few stalks and put in water in the kitchen to fill the room with lavender scent. I'm happy to find your hub about making a lavender wand too. I'm definitely going to do that. Congratulations on Hub of the Day! Great hub, and congrats on hub of the day. Lavender is such a great scent, but did you know if you use too much lavender, it can cause depression? Be well, and sleep well. Hello Marlene, Congrats on Hub of the Day. Your explanation of the benefits of using lavender as sleep aid was very well done and easy to understand. Lavender is in so many things now. I admit that I like lavender when it is combined with other scents, such as vanilla. That makes a really soothing, relaxing combination to me. I notice that they are putting the lavender scent in many baby products to help calm them. Your article is definitely voted up. Interesting and useful information. Although I have been recommended by two of my friends to use Lavender oil to help relax and get some sleep, I still haven't tried it. I like the smell of lavender. I should give this a try. Votes up and sharing! Congratulations on "Hub of the day"
Marlene! Congrats to your hub of the day award!! You deserve it!! Great! I really like the fragrance of lavender and find the methods mentioned by you of using it quiet exciting. Definitely going to put a tissue scented with lavender oil drops under my pillow for a relaxing night. Hi Thelma, thank you for the confirmation about lavender essential oils. I am so glad it works for you as well as it does for me. In fact, I'm sitting at my desk right now with a bowl filled with lavender leaves. I sprinkled two drops of lavender oil onto the leaves. It smells so nice. And, I hope you had an enjoyable Easter, too. Hi Arlene! It's good to see you here. I keep forgetting that we have some amazing farms here in northern California. I live close enough to the farmer's markets you mentioned that I should go check them out. As usual, Marlene, your writing is dynamite! I love lavender, and you have brought up a lot of useful information. I have no problem sleeping, but I think the aroma of lavender will cure all! I grow lavender for my cookies. I've planted it for other people. I have also been given gifts of lavender oil from a local farm in Colfax. I am overdue for visits to the lavender farms in Colfax and Lincoln. If I can't visit, I'm off to the Farmers Markets on weekends! It's all about living in Northern California for me! Hi, this was great info, and I loved all your ideas, the steam infusion is something that I will definitely try, voted up! Ah ha ha! alocsin, my lavender writing spree stated with the HP weekly challenge. One hub lead to another. I really enjoy lavender and all the benefits it provides. Thank you for reading and commenting. You're on a lavender plant article roll, I see. I do like the scent of lavender and am glad to find out these new ways of using the plant. Voting this Up and Useful. Hello Denise! Thank you for your comment. And, I hope you get a chance to make a lavender wand. It's really fun to make and if you like the scent of lavender, you will certainly be surrounded by it during the process of making the wand. Mhatter99 - Oh, I am a fan of jasmine, too. In fact, I have two jasmine plants at the entrance to my back yard. I'm hoping to train it across a trellis. beingwell - I didn't know about lavender powder. I imagine it could work as well as the oil or plant. It is definitely worth the try. Vickiw - Thank you for the confirmation. I always have lavender with me, even when I travel. It is so nice to have it to place on hotel pillows for the comfort it provides. billybuc - Lavender is such a nice scent. I'll have to pick up your novel. shin_rocka04 - A peaceful night is exactly what I look forward to when I use lavender. heidithorne - Yes! Try the tissue trick. Sometimes, when I'm working and start to feel uptight, I go get a tissue and sprinkle a few drops on it. I place the tissue in a glass bowl and enjoy the scent. Be careful not to place the tissue directly onto furniture or the oil might ruin the surface. I speak from experience on this piece of advice. Actually I do use lavender oil often, but didn't think to try the tissue trick. Thanks for the info! This sounds great. Lavender definitely has a peaceful vibe about it, so it would be great on those nights where you have nothing to do and just pass out :). Good hub. Sharing and voting up. My granddaughter used to be a child who seemed to have no need for sleep. We adopted a little ritual of always putting a couple of drops of lavender essential oil on her pillow. To this day she does it, and loves the scent. Wow, voted up! I have lavender powder all along and didn't know that it can help with insomnia. Hmm... will try that one tonight. Thanks maleneb. Sharing this one, thanks! Thank you for this useful information. We are a jasmine house.